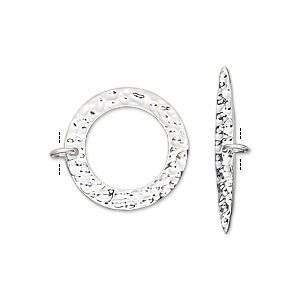 Clasp, toggle, antique silver-plated brass, 21mm textured round go-go. Sold individually. Item Number: H20-A7733FN Have a question about this item? 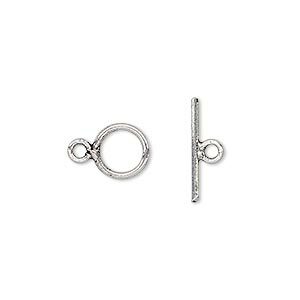 Cast brass toggle clasps have a textured round go-go design. 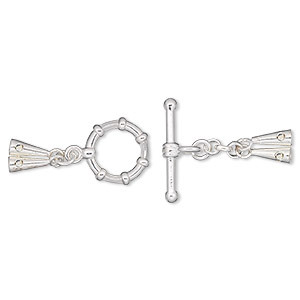 Clasps are plated with antique silver to bring out the intricate surface detail. 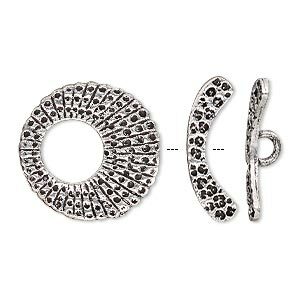 Clasp, toggle, antique silver-plated brass, 17x14mm oval with scroll design. Sold individually. 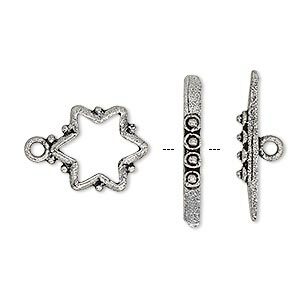 Clasp, toggle, antique silver-plated brass, 14x13mm beaded star. Sold per pkg of 2. 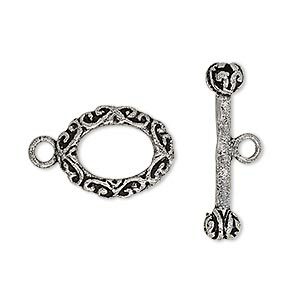 Clasp, toggle, antique silver-plated brass, 8mm smooth round. Sold per pkg of 8. 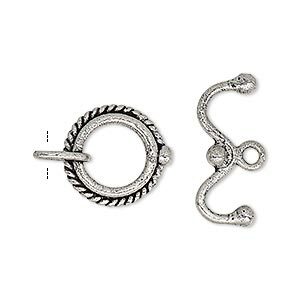 Clasp, toggle, antique silver-plated brass, 15mm round with rope edge. Sold per pkg of 2. 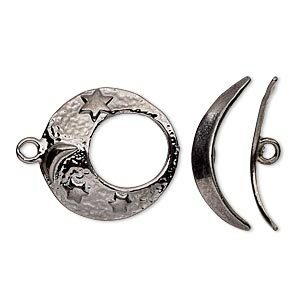 Clasp, toggle, antique silver-plated pewter (tin-based alloy), 19.5mm textured go-go with moon and star design. Sold individually. 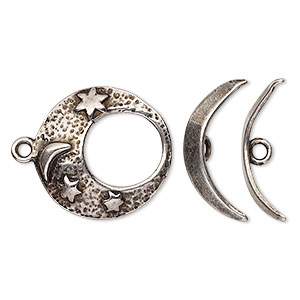 Clasp, toggle, gunmetal-plated pewter (tin-based alloy), 19.5mm textured go-go with moon and star design. Sold individually. 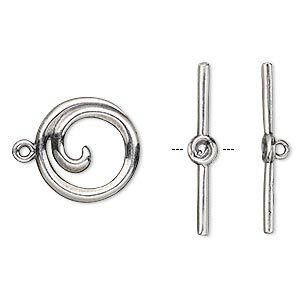 Clasp, toggle, antique silver-plated brass, 15.5mm round swirl. Sold individually. 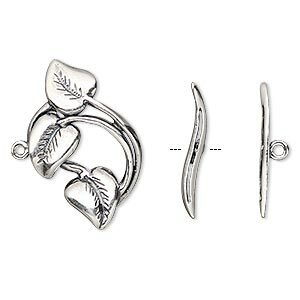 Clasp, toggle, antique silver-plated brass, 26x16mm leaves. Sold individually.